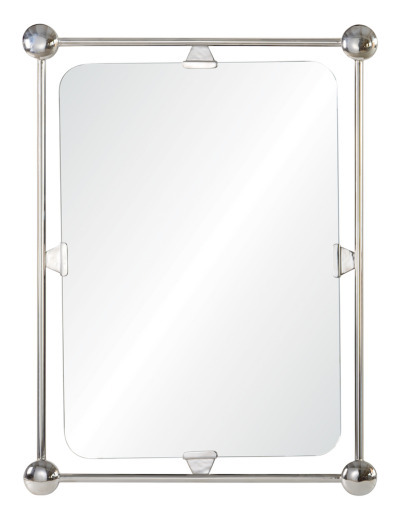 Featuring a polished stainless or burnished brass frame, this avant garde mirror is designed by renowned designer Celerie Kimble. A unique a eye catching design, this mirror is perfect as a vanity, for your bedroom or living space. Created by Mirror Image Home, a leading resource for designers.